Enjoy your favourite nut spread in a low calorie, healthier form. 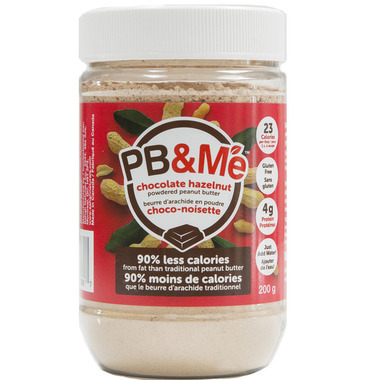 PB&Me Chocolate Hazelnut powdered peanut butter is made with premium organic cocoa powder and the best hazelnuts in the world! 90% of the fat from peanuts is removed and blended with the best tasting ingredients creating a magical combination with twice the protein content of traditional spreads. How to Enjoy: Just add water to enjoy it as a spread, add to your shakes and smoothies, or use as a gluten free substitute for baking! I was hoping for a nutella like flavor. Personally i like the plain peanut butter best. I like this high protein powdered nut butter, but couldnâ€™t really tell the difference between this chocolate hazelnut flavour, and the regular peanut butter flavour from the same company. This is really good! From all the powdered nut and peanut butters I've tried, it's my favorite. I would have liked it to be sugar free, but you can't have it all. I use it on toasted bread and it's delicious. Bought this for my husband when I bought the almond powder butter for myself from the same company. He he Loves it! These new powdered peanut butters are amazing, and this particular flavour is no exception. It tastes delicious and you can clearly taste the hazelnuts. 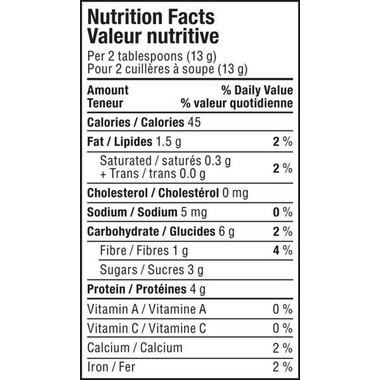 It really does tast like the big brand of chocolate hazelnut spread, but with 90% fewer calories but all the protein. Perfect!